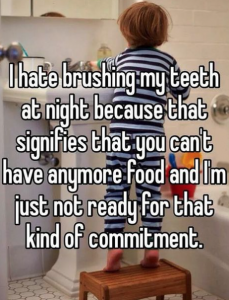 Brushing your teeth before bed helps protect them from plaque build-up and tooth decay. And don’t forget to floss! Cleaning between your teeth with floss helps you reach plaque that your toothbrush can’t reach.